SHANGHAI, CHINA The Maqiao Shanghai Active Community mixed-use development provides a total of 92,000 m2 of high-end retail space, well-appointed apartments, a high-rise hotel, in-demand commercial offices, and a selection of luxury villas. By infusing the entire development with distinct yet compatible design elements and bringing all aspects together at a pedestrian-friendly scale, Maqiao becomes a vibrant hub of activity for residents and visitors alike. Plazas create a series of events and enhance the overall customer shopping experience, with exquisite natural stone accents and a variety of water features. 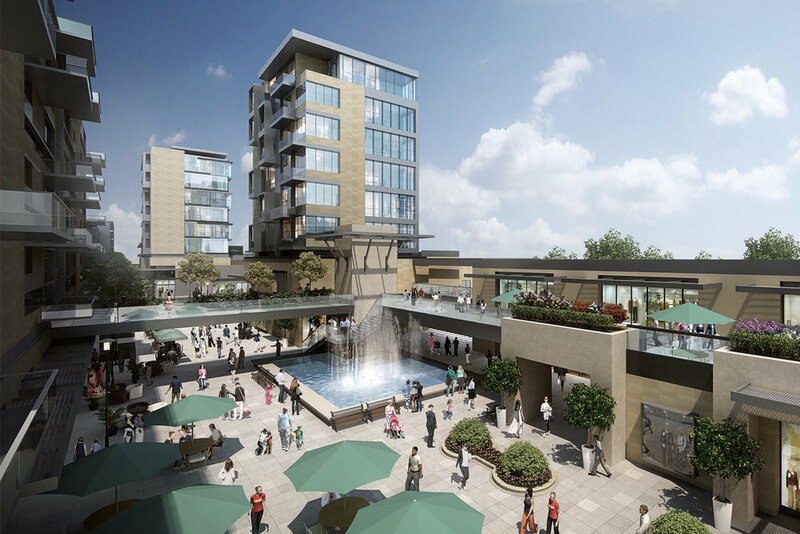 Elements of the architectural vocabulary, such as color and texture, relate to the apartment community while glazing, metal shading fins and a larger scale and contemporary gestures relate to the retail development. The mix of elements are tied together to broaden the target audience for this future development.